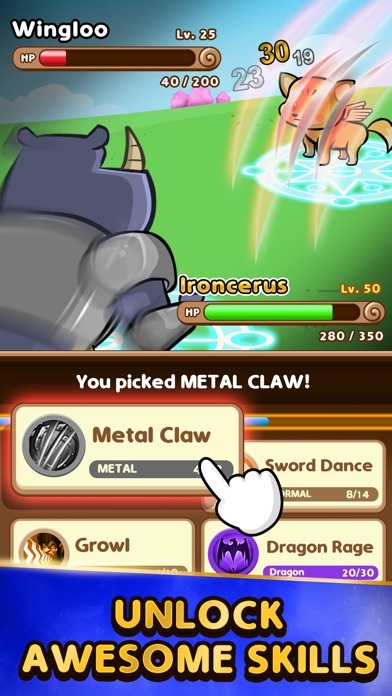 Are you ready to battle in the most addictive game ever? 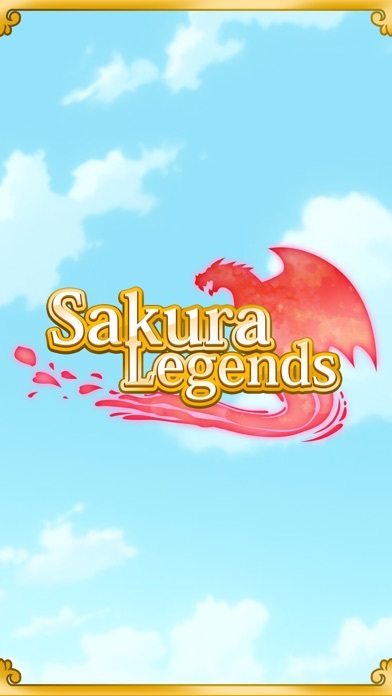 Welcome to SAKURA LEGENDS! 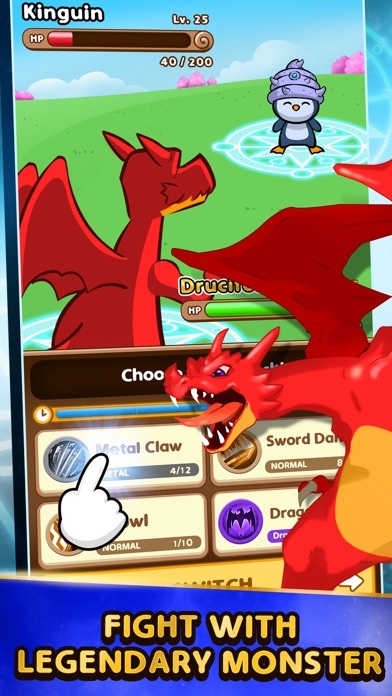 Discover the world of pocket monsters with the SAKURA LEGENDS, you can have an immersive fight with your favorite pets choosing one of them to help you evolve and to become the winner. With all the levels that await you, the SAKURA LEGENDS is a great way to discover the fun of the Pocket Monsters’ universe! EVOLVE YOUR TEAM Every battle you win a gem that will contain new or old Sakura Monsters. Use them to upgrade your team and make them stronger for the battles to come. 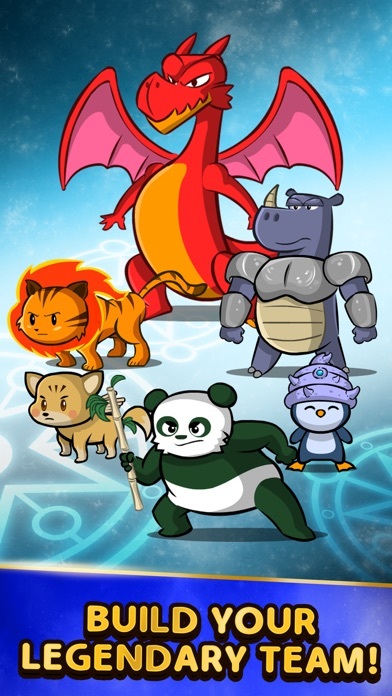 BATTLE AGAINST CHALLENGE OPPONENTS Battle against team of up to 4 monsters, including Dragons, Panda, Penguin and much more. 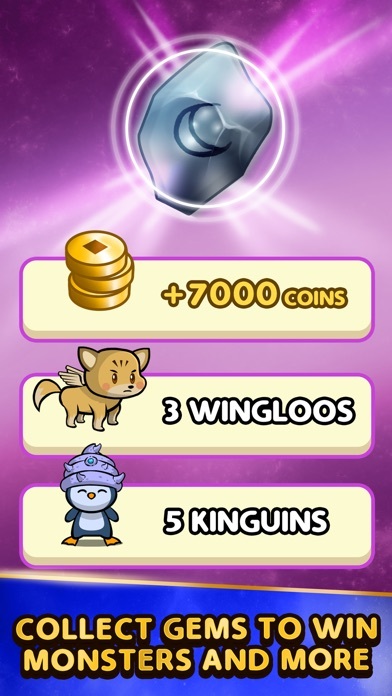 BECOME THE CHAMPION Win trophies every battle and see who among your friends has more trophies - I bet you can reach the Top!